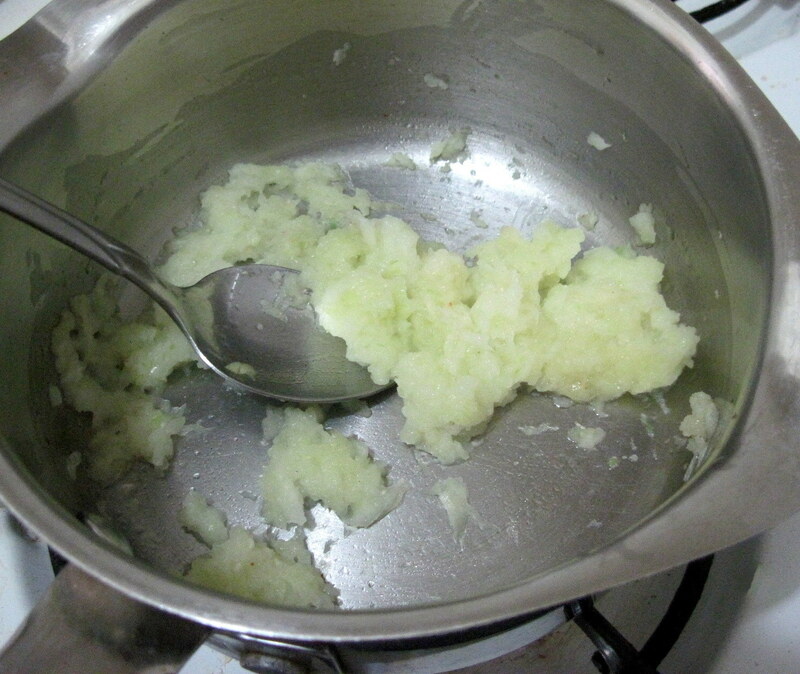 Grate the onion and garlic and saute them on medium heat in a little oil in small sauce pan. 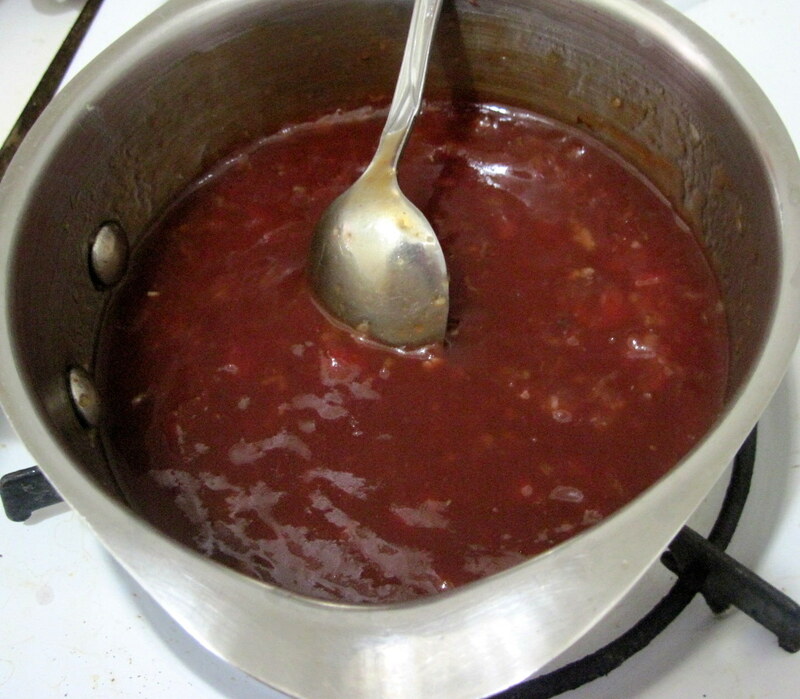 Add everything else and let simmer for a couple minutes or until it’s as thick as you like. Let cool, store in the fridge. 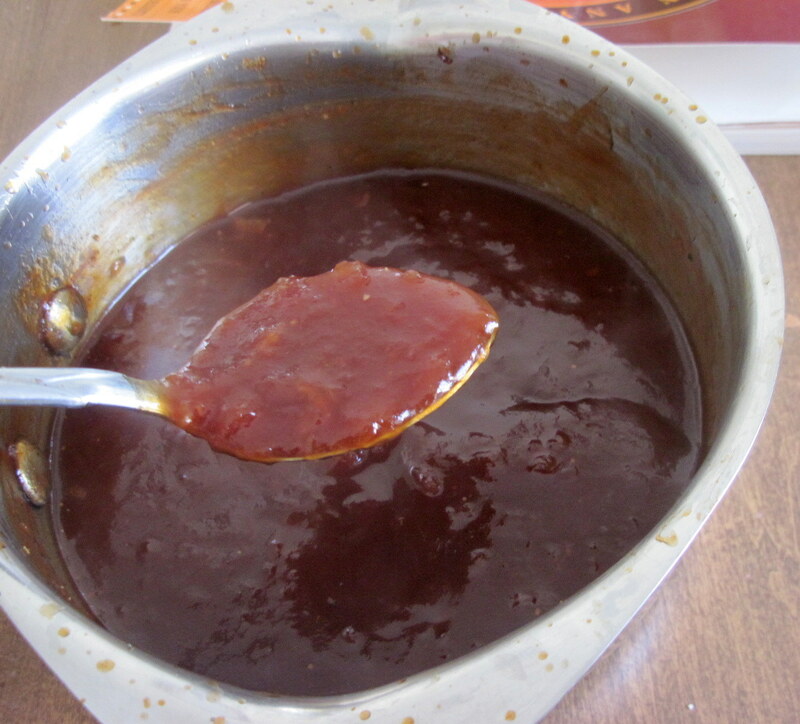 This sauce is an adaptation of the sauce I used in this post at the old site from the Cheater BBQ cookbook. My ex didn’t like that sauce very much but now that her taste isn’t a concern not only do I get to make it but I get to make it spicy! Hell. Yes. I also get to play with ingredients she would even let me bring into the apartment like oyster sauce. Oh, this is the sauce I used on the pizza I posted the other day, it doesn’t really taste asian it just has a unique something. Anyway, it was a spectacular sauce adventure, why not read on and vicariously adventure with me. The recipe calls for grated onion, so I grated some onion. 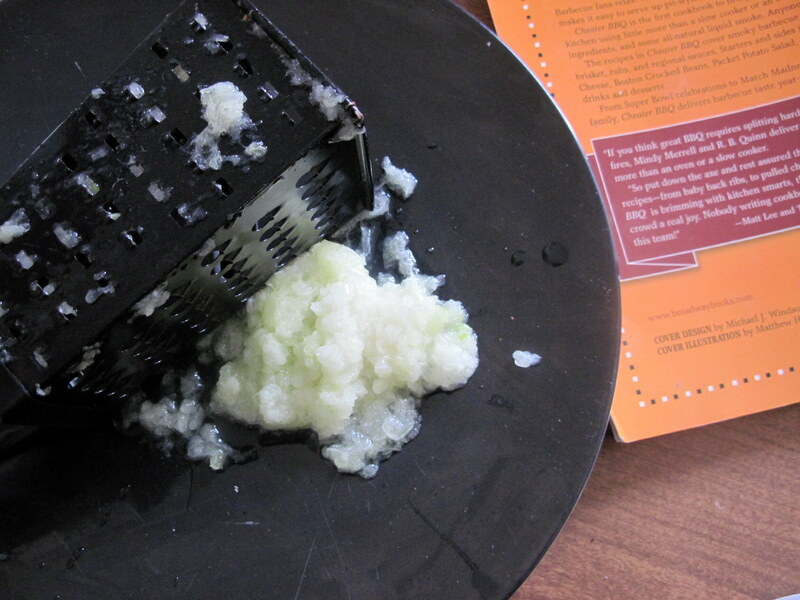 I used the rectangular back and forthy side on the box grater. I’m not sure what it’s actually called, so that’s what I’m calling it from now on. It turned the onion into mush which is good since chunky bbq sauce is an abomination in my eyes. I also used that side to grate the garlic, mostly because I didn’t feel like digging out my press or chopping and squishing and so forth. Then I tossed it into a pan with a little bacon grease, because I have it that’s why, and sauteed it for awhile. Basically until it started sticking, then I just tossed the rest of everything in. The road to adding oyster sauce was actually semi-accidental. I was going to use sriracha because it is my not so secret lover and I use it in everything these days and I realized I was out of Worcestershire sauce. 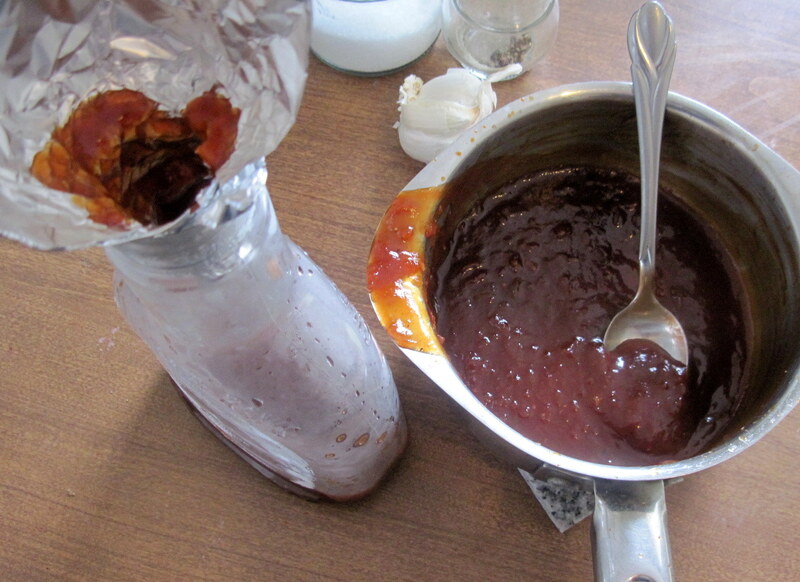 BBQ sauce really needs some kind of brown umami flavor especially the sweet, tomatoey Kansas City style. I didn’t want to use soy sauce, I would have used hoisin but I was out of that too, then my eyes alighted upon the oyster sauce. Perfect, I thought, especially since I was already using another asian ingredient. So, yeah, a new favorite sauce was born, hell I even bottled it. I bet it would be even better with a little hoisin, next time I make it I’m going to toss some in. Maybe some ginger, too. And lemongrass. Crap, I need to use it up so I can make more.